Offshore Kayak Fishing Charters are ran from May - October. Offshore trips can be tailored to any experience level. However, we recommend inexperienced kayakers schedule an Inshore Kayak Fishing Charter and build experience prior to going offshore. 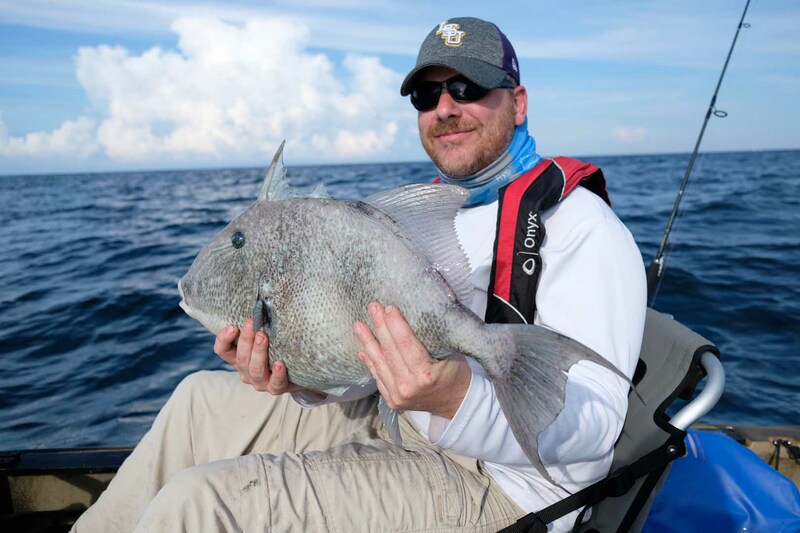 Offshore Kayak Fishing Charters allow anglers to experience the Emerald Coast from an entirely new perspective. Anglers will have the opportunity to target a variety of species, to include Cobia, Spanish Mackerel, King Mackerel, Mahi-Mahi, Sailfish, Sharks, Red Snapper, and Triggerfish. We provide a variety of baits during Offshore Kayak Fishing Charters and provide anglers with top of the line rod and reels. Offshore Kayak Fishing Charters are scheduled based on daily weather and tidal conditions. The kayaks allow us to launch from a variety of beach access throughout Northwest Florida. 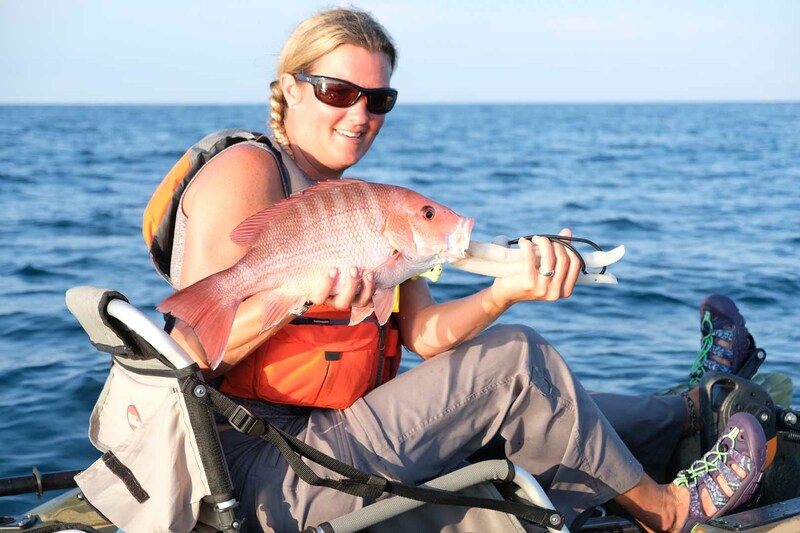 Offshore Kayak Fishing Charters start at $375 and are four hours long. Trips start at $325 and are slotted for four hours. If you catch your limit early we will change gears and troll for heart-racing Pelagic species. Red Snapper and Triggerfish are highly regulated throughout the Gulf of Mexico. The Florida Fish and Wildlife Conservation Commission is proposing a 40 day recreational Red Snapper season. Red Snapper fishing charters fill quickly, call (850) 264-3957 and pre-book your trip today! Trips start at $325 and are slotted for four hours. We will target King Mackerel, Spanish Mackerel, Sailfish, and Mahi-Mahi throughout the summer. Come fall, we will look for Blackfin Tuna. 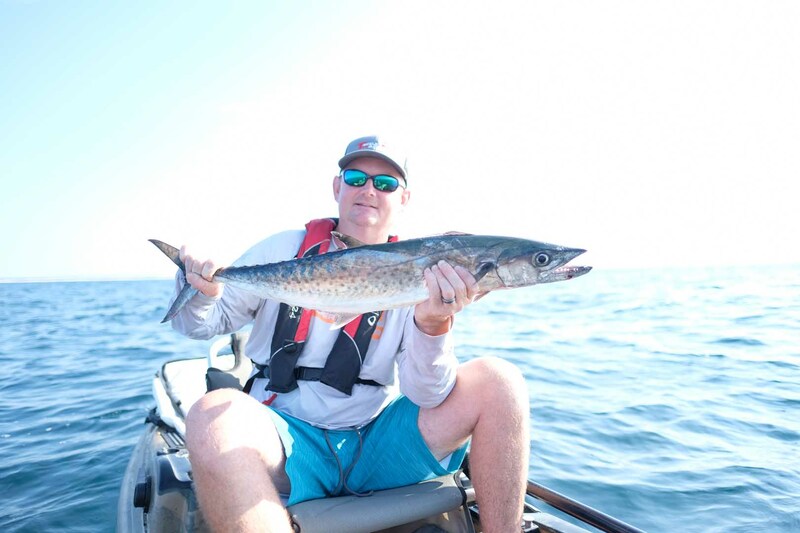 King Mackerel make excellent fish dip and fresh Mahi-Mahi will keep you coming back for more! Offshore fishing trips are all weather permitting. Call (850) 264-3957 to pre-book your trip and let us find the perfect window of opportunity. 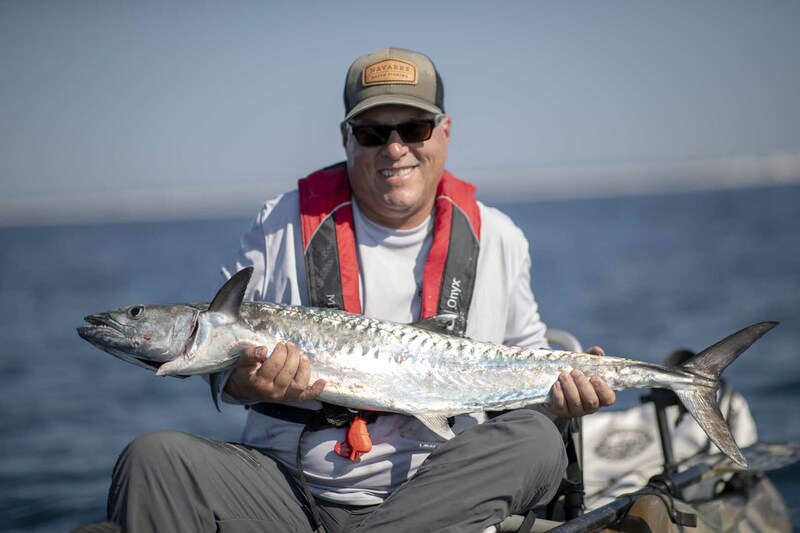 Are you interested in booking a Inshore Kayak Fishing Charter?